As a Visual Studio subscriber, you have access to the Visual Studio IDE. The specific version will depend on the level of your subscription. The benefit will appear as a tile in the Tools category on the Benefits page of the subscriber portal. 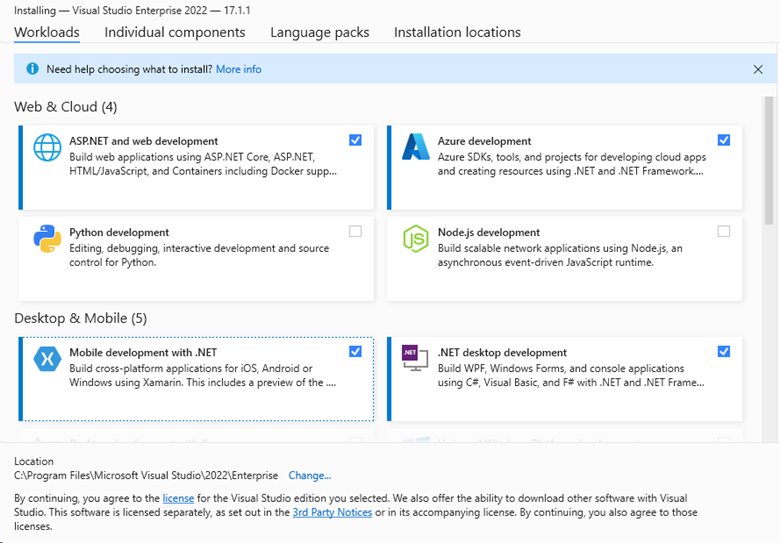 Locate the Visual Studio IDE tile in the Tools section, and click on the Download link at the bottom of the benefit tile. You can also download it from the Downloads page. 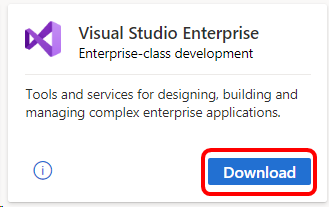 You’ll be redirected to the Download Results page for Visual Studio, where you’ll have the opportunity to download the IDE and obtain a product key to activate it. You may also claim a product key by clicking on the blue Get Key link, or claim a key later on the Product keys page. To install now, click Run. In the User Account Control dialog, click Yes. Click Continue to accept the license terms. When the installer starts, choose your desired workloads, individual components and language packs by choosing them on the corresponding tabs. 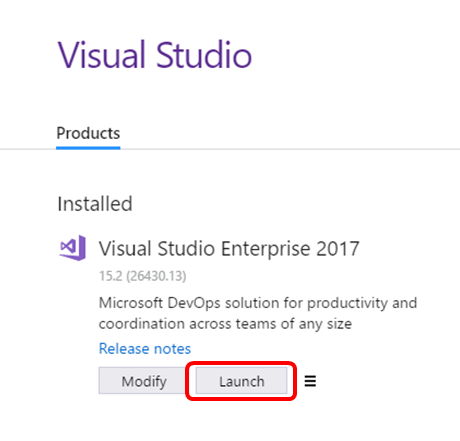 When the installation is complete, you'll have the option to modify the installation or launch Visual Studio. Click Launch to get started. Sign in with the account associated with your Visual Studio subscription. Choose your preferred theme, and click Start Visual Studio. Visual Studio opens. 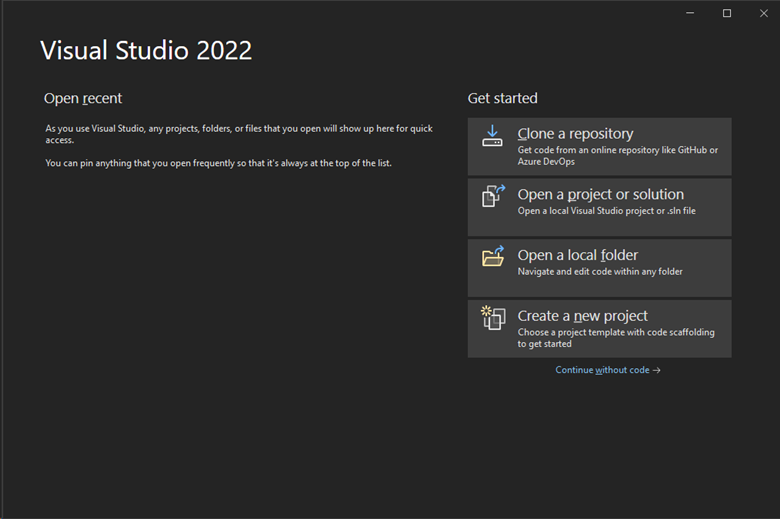 You're ready to start using Visual Studio! 1 Includes: Not for Resale (NFR), Visual Studio Industry Partner (VSIP), Microsoft Partner Network (MPN), FTE, MCT Software & Services Developer, BizSpark, Imagine, Most Valuable Professional (MVP), Regional Director (RD). Excludes: MCT Software & Services.